Dea. John FASSETT "Sr" [Parents] was born on 1 Apr 1720 in Biolerica, Middlesex, Massachusetts. He died on 12 Aug 1794 in Bennington, Bennington, Vermont. John married Mary WOOLEY on 14 May 1741 in Bedford, Middlesex, Massachusetts. Mary WOOLEY was born on 8 Nov 1720 in , Concord, Massachusetts. She died in 1782 in Bennington, Bennington, Vermont. Mary married Dea. John FASSETT "Sr" on 14 May 1741 in Bedford, Middlesex, Massachusetts. Sarah FASSETT was born on 18 May 1742 in Bennington, Bennington, Vermont. John FASSETT "Jr" was born on 23 Jun 1743 in Hardwick, Worcester, Massachusetts. Jonathan FASSETT was born on 26 Apr 1745 in Bedford, Middlesex, Massachusetts. David FASSETT was born on 29 Apr 1747 in Hardwick, Worcester, Massachusetts. Amos FASSETT was born on 13 Jun 1752 in Hardwick, Worcester, Massachusetts. Mary FASSETT was born on 19 Nov 1754 in Hardwick, Worcester, Massachusetts. M vii Col. Benjamin FASSETT was born on 21 Mar 1757. He died on 11 Feb 1816. Hannah FASSETT was born on 9 Oct 1764 in Billerica, Middlesex, Massachusetts. Col. Benjamin FASSETT [Parents] was born on 21 Mar 1757 in Hardwick, Worcester, Massachusetts. He died on 11 Feb 1816 in Bennington, Bennington, Vermont. Benjamin married Betty DEWEY in 1779 in Bennington, Bennington, Vermont. Betty DEWEY was born in 1759. She died on 31 Jul 1794 in Bennington, Bennington, Vermont. Betty married Col. Benjamin FASSETT in 1779 in Bennington, Bennington, Vermont. Sarah FASSETT was born in 1779. She died in 1848. F ii Ruth FASSETT was born on 7 Apr 1780. She died on 16 Aug 1862. Betsy FASSETT was born on 16 Aug 1789. She died in 1864. Samuel FAY was born on 16 Aug 1772 in Bennington, Bennington, Vermont. He died on 25 Dec 1863. Samuel married Ruth FASSETT on 7 Sep 1800. Ruth FASSETT [Parents] was born on 7 Apr 1780. She died on 16 Aug 1862 in Bennington, Bennington, Vermont. Ruth married Samuel FAY on 7 Sep 1800. Josiah FASSETT was born on 1 Dec 1687 in Billerica, Middlesex, Massachusetts. He died on 18 Feb 1740 in Bedford, Middlesex, Massachusetts. Josiah married Sarah WOOLEY about 1712 in Billerica, Middlesex, Massachusetts. Sarah WOOLEY was born about 1692 in Bedford, Middlesex, Massachusetts. She died in 1730 in , , Massachusetts. Sarah married Josiah FASSETT about 1712 in Billerica, Middlesex, Massachusetts. M i Dea. John FASSETT "Sr" was born on 1 Apr 1720. He died on 12 Aug 1794. Daniel HAYES [Parents] was born on 3 Jun 1842 in Washington, Litchfield, Connecticut. He died on 27 May 1917. Daniel married Alice Cornelia WARFIELD on 26 Nov 1863 in Muscatine, Iowa. Alice Cornelia WARFIELD was born in 1843 in Muscatine, Iowa. She died in 1917 in Muscatine, Iowa. Alice married Daniel HAYES on 26 Nov 1863 in Muscatine, Iowa. Katherine Ann HAYES was born on 25 Sep 1870 in Muscatine, Muscatine, Iowa. She died on 2 Aug 1959. Asbury Warfield HAYES was born on 2 Aug 1875 in Muscatine, Muscatine, Iowa. He died on 26 Jul 1875 in Muscatine, Muscatine, Iowa. Bessie HAYES was born about 1876 in Muscatine, Muscatine, Iowa. She died in 1972. F iv Mary Lillian HAYES was born on 9 Oct 1877. She died in 1935. David HAYES was born on 21 Oct 1878 in Muscatine, Muscatine, Iowa. He died on 25 Oct 1878 in Muscatine, Muscatine, Iowa. F vi Fannie Frederickson HAYES was born on 25 Sep 1880. She died on 2 Aug 1959. F vii Alice Warfield HAYES was born on 7 Dec 1882. Wilson HAYES was born about 1884 in Muscatine, Muscatine, Iowa. He died in 1937. M ix Daniel Gordon HAYES was born on 4 Apr 1886. He died in 1946. Charles Gordon HAYES [Parents] was born on 20 Jan 1830 in Muscatine, Muscatine, Iowa. He died on 8 Apr 1878 in Des Moines, Polk, Iowa. Charles married Adaline J. "Ada" STONE on 16 Sep 1858 in Muscatine, Iowa. Adaline J. "Ada" STONE [Parents] was born on 16 Sep 1842 in Muscatine, Muscatine, Iowa. She died after 1890. Adaline married Charles Gordon HAYES on 16 Sep 1858 in Muscatine, Iowa. F i Fanny Fassett HAYES was born on 28 Mar 1860. Edward Gordon HAYES was born on 4 Jul 1862 in Muscatine, Muscatine, Iowa. He died in Feb 1880. John HAYES was born in 1865 in Muscatine, Muscatine, Iowa. He died in 1865 in Muscatine, Muscatine, Iowa. Edward HAYES [Parents] was born on 8 Oct 1835 in North Grundy, Connecticut. He died on 25 Mar 1923 in Red Oak, Montgomery, Iowa. He was buried in Evergreen Cemetery, Red Oak, Montgomery, Iowa. Edward married Charlotte Augusta LANE on 11 Apr 1882 in Red Oak, Montgomery, Iowa. Charlotte Augusta LANE [Parents] was born on 30 Mar 1857 in Leominster, Worcester, Massachusetts. She died in 1945 in Red Oak, Montgomery, Iowa. She was buried in Evergreen Cemetery, Red Oak, Montgomery, Iowa. Charlotte married Edward HAYES on 11 Apr 1882 in Red Oak, Montgomery, Iowa. Edward HAYES [Parents] was born on 8 Oct 1835 in North Grundy, Connecticut. He died on 25 Mar 1923 in Red Oak, Montgomery, Iowa. He was buried in Evergreen Cemetery, Red Oak, Montgomery, Iowa. Edward married Alice MORRELL on 3 Jan 1871 in Augusta, Hancock, Illinois. Alice MORRELL [Parents] was born on 9 Apr 1846 in Caroline, Tompkins, New York. She died on 13 Aug 1874 in Augusta, Hancock, Illinois. Alice married Edward HAYES on 3 Jan 1871 in Augusta, Hancock, Illinois. M i Gordon M. HAYES was born on 14 Feb 1872. He died on 26 Mar 1923. John HAYES [Parents] was born on 14 Sep 1837 in Washington, Connecticut. John married Catharine C. LOOMIS on 7 Sep 1870 in N. Bennington, Vermont. 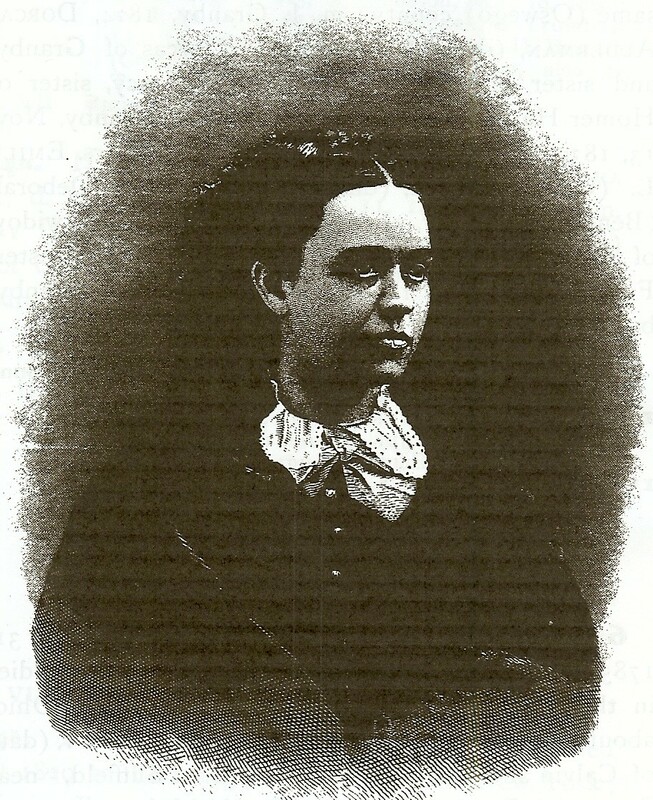 Catharine C. LOOMIS [Parents] was born on 10 Aug 1848 in Bennington, Bennington, Vermont. Catharine married John HAYES on 7 Sep 1870 in N. Bennington, Vermont. Gordon Loomis HAYES was born on 6 Jul 1871 in , Hartford, Connectictu. He died on 27 May 1877 in , Hartford, Connectictu. M ii John Carleton HAYES was born on 8 Jun 1875. Mary Fassett HAYES was born on 1 May 1878. Charles Edward HAYES was born on 7 Dec 1883. Rev. James Walter WAUGH D. D. was born on 22 Nov 1839 in , Mercer, Pennsylvania. He died on 22 Jan 1910 in Moradabad, Uttar Pradesh, India. James married Lydia Marie HAYES on 2 Mar 1859 in Evansto, Illinois. Lydia Marie HAYES [Parents] was born on 25 Nov 1839 in Washington, Litchfield, Connecticut. She died on 12 Jun 1872 in Ravenswood, Cook, Illinois. Lydia married Rev. James Walter WAUGH D. D. on 2 Mar 1859 in Evansto, Illinois. Robert Hayes WAUGH was born on 1 Sep 1861 in Bareilly Uttar Pradesh, India. He died on 17 Nov 1950. Walter WAUGH was born on 26 Sep 1862 in Uttar Pradesh, India. William WAUGH was born on 26 Sep 1862 in Bareilly Uttar Pradesh, India. He died in 1864 in Uttar Pradesh, India. Catharine Hayes WAUGH was born on 13 Feb 1866 in Bareilly Uttar Pradesh, India. She died on 8 Jan 1921 in Manheim, Lancaster, Pennsyvania. Frederick Coe WAUGH was born on 19 Mar 1867 in Lucknow, Uttar Pradesh, India. Alfred Kingsley WAUGH was born on 23 Aug 1870 in Bareilly Uttar Pradesh, India. He died on 22 Nov 1941 in Seatte, King, Washington.